The problem of street children in Kinshasa continues to worsen, despite more than two thousand former street and orphaned children who have been housed and rehabilitated by a national government program. In the DR Congo, the street children are called “enfants sorciers,” meaning the witch kids who are usually victims of domestic violence, the HIV epidemic, early pregnancies, or suspected of practicing voodoo. 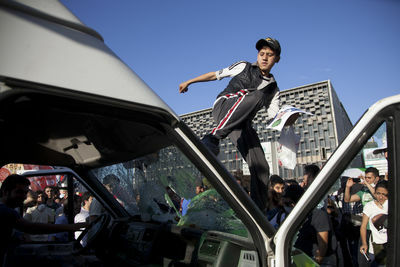 Most of the children have confessed to pick-pocketing, regular drug use, expecially marijuana and sniffing petrol. 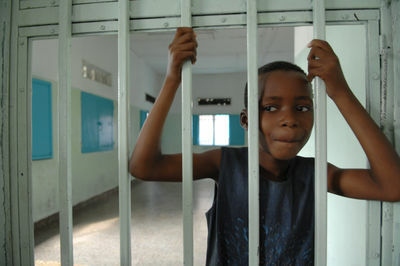 A pilot project to rehabilitate thousands of children living on the streets of DR Congo is failing because government is excluding civil society from the rehabilitation program.Two years ago, the government began recruiting Kinshasa’s street kids and placing them into training centres under the auspices of the DR Congo National Service, to provide them trade skills, such as carpentry and tailoring. However following their graduation from life and trade skills training, the children often return to their old lives because there has been no planning by government on how the skills could be utilized by the kids to their benefit. The place of women within the tribal system of the Bedouins of North Sinai is very restricted and anchored to very specific traditions. The situation of Bedouin women, in fact, is connected to the tribal structure. In the Bedouin culture, the status of families is determined by their size. Women are thus both venerated and marginalized to the role of "birth givers". Therefore, Bedouin women are obliged to marry as soon as possible and they are subject not only to a strict cultural code, but also to a strict sexual code of conduct. Each individual, through his action, represents his family as a whole in the society. Each shameful or not acceptable conduct will damage the honor of the entire family. Being subject to these strict codes and rules, only a very small minority of Bedouin women have access to the public sphere and to social life outside the domestic walls. In this reportage it will be shown the voices of both Bedouin and Egyptian women and men, that are fighting for a social change for Bedouin women, and that explain the situation for women in Sinai. Selwa el Hirsh, an active woman of the Billi tribe of Rabaa (near Bir el Abd) shows her struggle in trying to enable Bedouin women to integrate in the economical sphere of their families through handicraft. She explains the importance of women in participating in the economy of the family. 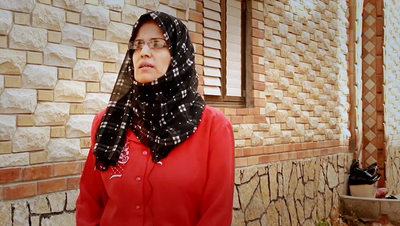 Mona Barhoum, is an activist in Rafah, engaged on women and development issues. She gave more then 5000 ID to Bedouin women and she run as a candidate in the last parliamentary elections. Sheikh Arafat, a sufi sheikh of the tribe of the Sawarka, is the director of the Al Gora Society (in al Gora, in the nearby of Sheikh Zwaid), an NGO working on human rights and development in Sinai. Said Hytaiek is a Bedouin activist of Sheikh Zwaid, explaining how the policies of the last 30 years on Sinai didn't bring any progress on the women issues in the region. Sheikh Goma el Tarrabin, a member of the most facultous families of the Tarrabin, and very famous smuggler, explains ( only audio) the traditions and marriage in the tribal system. Sheikh Abd el Hendy, an Orfi judge (the traditional Bedouin legislation) of Chabaana, in the nearby of Sheikh Zwaid explains the legislative status of women in the Bedouin traditions. 00:00 - 01:00 Selwa El Hirsh: “In the name of Allah my name is Selwa el Hirsh, a leader for the women of North Sinai. 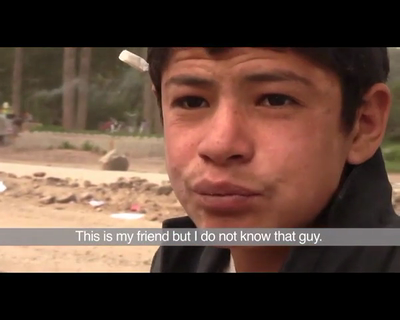 I am a Bedouin, the tribe of Baradeya, family el-Hirsh. Images: man on the beach of el-Arish, el Arish University, militaries walking on the beach of el Arish, Chabaana (Sheikh Zwaid )peach trees, palm trees of the beach of El Arish, rooftops and building of el Arish, Orfi tribunal in Chabaana, fruit trees in Bir el Abd, woman with child in her balcony, children playing in Rabaa village, sheep in cage in Chaabana. Images: Bedouin men in peach trees in Chabaana, Flyer of Al-Gora Society activities on women, two Bedouin women in traditional clothes and baby, particular of the mother holding the baby, Bedouin women and the baby, village of Sheikh Zwaid with girls and donkey chariot. Images: Women with Niqab and baby walking in the street, main street of El Arish. Images: Bedouin men and children in a Bedouin hut on the beach of el Arish, children in the hut, beach of el Arish, Bedouin man preparing Shisha. Images: Bedouin women with children, two Bedouin women (one working) with children, Bedouin teenager girls preparing tea on the seaside. Images: particular of hands taking a cigarette, inside the Bedouin Tribunal, men listening to the judge, three Bedouin men in the tribunal listening to the judge, portrait of one man listening to the judge, portrait of another Bedouin smoking a cigarette and listening to the judge, outside of the Tribunal judge talking with a man, zoom on judge talking with the man. Images: particular of hands of woman working on handicraft, Bedouin women working, other Bedouin woman sitting beside her husband while she works, handicraft clothes in the trade show in Arish University, Bedouin women laughing with her husband, Bedouin family sitting all together under the shadow of a tree while women are working, old Bedouin woman, market in Arish, manequins of women clothes. Images: Arish downtown, woman in Niqab with two daughters crossing the street, Arish downtown, two women (one veiled one in Niqab) with their children. Images: Selwa presenting handicraft products made by Bedouin women, Selwa talking with a man. “The situation of women in Sinai, is the same like all the Egyptian women. They got backward in everything that they gained before the revolution, like their membership in the local committees and making the decisions. Images: Mona walking in the entrance of the court, Mona with her cat, portrait of Bedouin woman in traditional clothes, two Bedouin women with kids in the garden of the house, Bedouin woman eating fruits from a tree, Mona going outside of her house. Images : Bedouin girls playing a game on the sand. 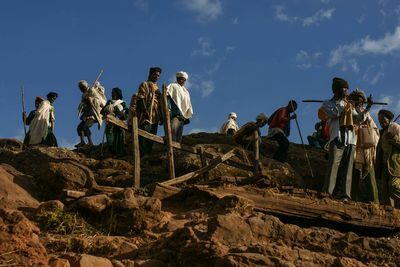 Rows of pilgrims from villages all over Ethiopia file down paths on their way to be blessed by priests and visit the holy site of Lalibela. Perched high in the mountains of Northern Ethiopia, in the small town of Lalibela, Bet Giyorgis is one of the most important pilgrimage sites for one of the oldest Christian sects in the world, the Ethiopian Orthodox Christians. Lalibela, Ethiopia. December 2012. In Besiktas quarter protesters threw rocks at the police during the Occupy Gezi Park protest which has taken over many Istanbul neighborhoods. The ongoing conflict in Syria between the President Bashar Al Assad's regime and the opposition forces has complicated the transfer of oil from Raqqa to western provinces like Lattakia, Tartous, Damascus, and Idlib. The besieged city of Aleppo is one of the main transfer destinations that is suffering from a lack of fuel also one of the hardest to get fuel to. Syrian opposition forces control the majority of oil wells in the country, most of which are located in the east in the provinces of Raqqa and Deir El-Zor. The opposition forces do not have the adequate equipment for refining oil. The lack or proper equipment has resulted in using gas barrels that are filled with fuel and placed on a fire. This method produces pollution and a very low grade fuel product. The fuel from this form of extraction harms the vehicles and eventually breaks the engines down by destroying the pistons. 00:40: This is a tank we created to produce fuel. We have a high demand for fuel and we needed to adapt. 00:50: We created a tank with around three to four millimeters of iron bags. We fill it with fuel and then we stir it on the fire for three to four hours. 01:02: We produce three to four barrels of gasoline, diesel, or gas per day. 01:10: We're refining oil in the eastern areas because this is where the wells are located. 01:21: Syrian traders transfer the oil to western provinces like Lattakia, Tartous, Damascus and Idleb along with all the areas under siege that are suffering of lack of fuel. 02:05: How much for one litter? 02:13: Regarding gasoline, it’s refined but it’s a very bad quality. 02:20: It has many disadvantages it damages the pistons. They're refining it in the desert and the countryside, in Raqqa and Maskana. 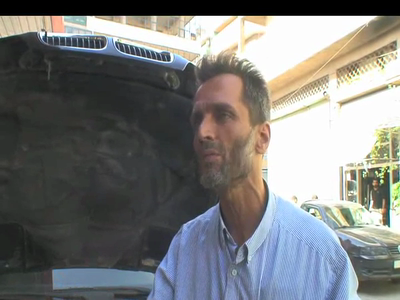 03:05 The gasoline we're getting is from Al Raqqa, it's not even gasoline, It's not properly processed. The vehicles eventually break down because of it. 03:17: The problem is in the injectors and the diesels quality doesn’t let the motors operate properly. If you leave a barrel to the next day, you'll find half of it filled with mud. 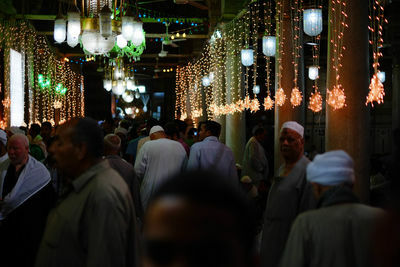 Inside the Sayed Zeinab mosque, thousands make the final leg of the trek to tomb of the Prophet Mohamed’s granddaughter.